Content costs. How much it costs and how great a return you receive from it will largely depend on the intelligence of your investment and the rigor with which you manage it. In our previous post on this topic, we talked about the need for organizations to be increasingly accountable for the cost of content. Too many organizations are not yet awake to the dollar cost. But, once companies understand what they are spending on content, it's time to consider ways of driving efficiency from that investment. Efficiency is sometimes a problematic word, evoking images of management consultants closing down offices. But, done correctly, driving efficiencies can actually lead to higher quality, more engaging content. That's the paradox of content and the power of efficiency. Spending on content continues to increase as a proportion of marketing budgets. By some accounts, global business spending on content is projected to more than double in the five years between 2016 and 2021, surpassing $400 billion. That's a significant investment by anyone's measure. 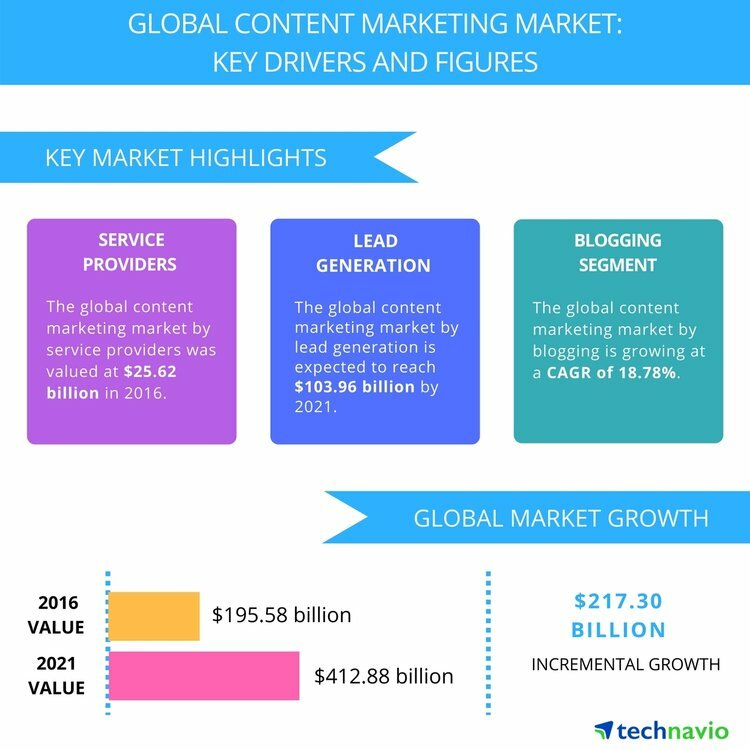 Research from Technavio points to a doubling of global spend in content by businesses by 2021. OWNERSHIP: Nobody clearly owns content on behalf of the company. Different divisions have their local take on what content means and how to do it. At the executive level, VPs and CXOs fly under the radar with their own content initiatives for their separate purposes. Ultimately, the CEO is responsible for all of the company's content but she has either neglected or not managed to lay down a clear chain of command for the strategic management of content throughout the business. 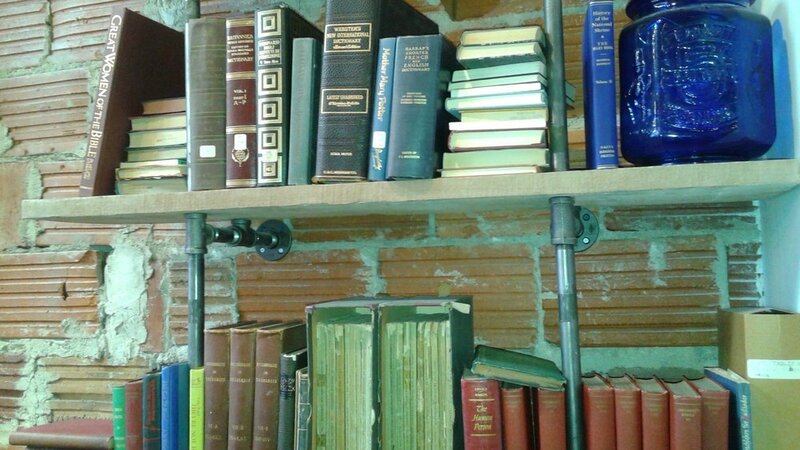 DOCUMENTATION: There is a lack of a documented content plan in the business to establish the parameters for how the organization manages content and what it expects from that investment. Although an operational chain of command around content management is in place, a lack of documented process hobbles your company's ability not only to do content well but to get best bang from your buck. PROCESS: A chain of command and a documented plan are in place, but the left hand is not sure what the right hand is doing. The processes are laid out, but individuals and teams are not clear what the process means and how it should be implemented. This is a process implementation problem, and can bedevil companies in many areas not only content management. OVER SUPPLY: The content machine is up and running, everyone is drilled, and content is flowing out of your organization like a fresh oil well. Job done? Quite the opposite! No one needs an endless supply of content. Too much free-flowing content quickly becomes a problem of another kind. What an organization needs is a well architected and rigorously controlled plan that sets a content framework but also leaves room for individuals and teams to be creative and flexible around the details. Managing this framework across stakeholders is complex and demanding, but highly rewarding if done well. INTEGRATION: Everything is in place, there is discipline around content process and production, but the various content assets don't seem to be gelling. In a nutshell, you have tight production but a lack of underlying coherence. This often speaks to deficiencies in the holistic integration of content, making sure that individual pieces of content not only fit together from a thematic perspective but interlink and speak to each other in rich, intuitive ways that are evident to the visitor. The sum must be qualitatively more than the sum of the parts. POSITIONING: You have points 1-5 under control but your content is beginning to show fractures as it scales. This is a classic positioning problem. If you are not crystal clear around your core purpose as an organization and who you are seeking to serve, this ambiguity will surface as fracture points in your content as your creative reaches a critical mass. This is a fundamental flaw in the content plan, and must be addressed urgently. Words, words, words! Don't produce more than can easily be consumed by your audience. Each of these six areas require serious attention to avoid running into the kind of problems outlined above. Proactive planning and educated awareness within the workflow to ensure content intelligence in practice will go a long way. OWNERSHIP - The CEO is responsible for establishing clear ownership for content within the business. Ideally she delegates the responsibility to a single point person, reporting into her. This person will often be the CMO, where the role exists, although the president or various CXO titles can assume leadership. The individual should have demonstrated experience in content management, whether this relates to sales enablement collateral, product marketing documents, or more general creative work. If the CEO chooses or neglects to assign responsibility for content, by default she becomes responsible for operational management of her company's content programs at the executive level. The advantage of assigning the responsibility to a trusted executive lieutenant is that it frees up the CEO to support and supervise in this area with a degree of distance otherwise not possible if she is operationally responsible. DOCUMENTATION - The executive responsible for content management is also responsible for getting the required documentation in place. If your content strategy is not written down, it doesn't exist. Break out different types of content and their respective purpose within the content plan. Website copy is different from ad creative, which is different again from a technical white paper series or a corporate promo. Which team is responsible for which kind of content and for what purpose? Not all teams will fall directly under the executive content manager's purview. That's okay, but it speaks to the need for the documented content plan to be widely shared among senior staff to allow for feedback and generate buy-in. It is also important for the content plan to clearly state how the production and management of content is intended to support and drive macro company objectives. PROCESS - Establishing a robust content process as part of your overall marketing plan is a perennial pain point for marketing and business leaders everywhere. The reality is that most companies struggle with the strategic and practical management of content. Ensure your marketing goals are clearly aligned with your business objectives. Establish a content calendar within your marketing plan, and ascertain the process by which the content will be produced and what resource you will assign. Set clear editorial parameters for content creation, including guidance around brand voice and house style. Ensure rigorous training around the operation of whatever publication platform you use. Have a calendared approach to promotion and distribution of content assets. OVER SUPPLY - The engines are fired up, the machine is well-oiled, and you organization is generating content like tomorrow will never come. Now is the time to selectively slow things down to avoid over supply. Slowing things down in the right way and in the right places requires strong executive oversight and analysis. Review fast and deep. How is the content contributing to your pre-determined business goals? What can be adjusted? Inspect all content schedules across the business. What is genuinely new, where is the duplication? The conclusions you draw will have direct implications for your staffing mix. You may now have more writers or content strategists hired than you strictly need, but you're looking short-handed for design and video. This will require careful recalibrations of your team, and can potentially help you cut back on some expense. Whatever moves you make, remember that changes must be introduced in a way that minimizes disruption and insecurity at the team level. While change is necessary, a base level of continuity is important to ensure the integrity of your content programs and not to spook the troops. INTEGRATION - Alongside positioning, there is nothing more important in running a strong content program than ensuring integration among your content types. One piece of content needs to relate to another piece in a way that is intuitive and clearly signposted to the consumer. Otherwise you are building a house with all the pieces created but without actually assembling the structure. Strong editorial control is key here. Not only you but your key lieutenants across the different business units need to be constantly looking at existing pieces of content and considering how they can interface with other content assets in ways that weren't perhaps obvious when you drew up the original content schedule. Think of it in terms of architecture. It takes a lot of time and resource to plan and build a structure. Strong planning is vital, but the building only comes to life in its stage-by-stage execution. POSITIONING - Getting your company and product positioning right is key. Have a clear-cut process for reviewing positioning across your organization, and ensure that changes are clearly communicated for implementation across stakeholders in a managed way. Discuss the nuance of messaging around positioning changes in open conversations among stakeholders at all levels in the organization. Talking through changes is an important mechanism for achieving adoption in the business. Remember that even without a content strategy or a clear commitment to content creation, companies are required to create some level of content if only to describe and showcase their products and services. Leaflets, logos, and branded collateral have been around forever. The reality is you will be creating content whether you like it or not. But you can only spend the dollar once, so you'd better spend it well. Recent research from Gartner suggests CMOs are getting embroiled in a sea of shiny new tools and programs without properly concentrating on driving return from core spend. Take content seriously and expect to drive strong efficiency from it while seeking return from your investment. Focus on the areas above, but also remember cost discipline is sometimes as simple as stopping a long-standing program that is past its prime or cutting spending on an initiative by ten percent. In our first article in this series, we looked at ways of setting a framework at the C-level to better understand and justify expenditure on content. In this piece, we have examined areas for driving up efficiency from your content dollars. In our next post, we will explore ways of maximizing ROI from your content spend.